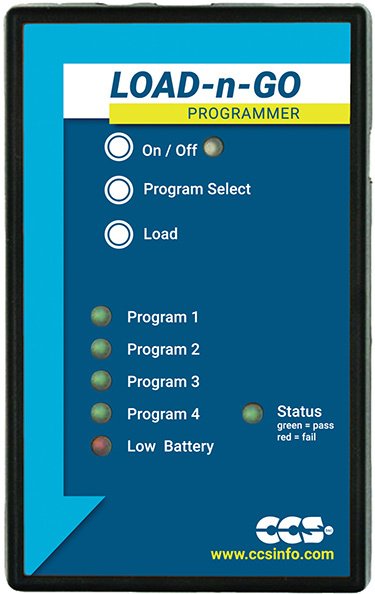 LOAD-n-GO is a hand-held mobile programmer and goes where no PC or laptop has gone before. This device allows for quick field programming of targets with up to four firmware images. The programming process is as easy as 1-2-3 with the LOAD-n-GO. Simply load the program into the LOAD-n-GO via a USB cable, connect to the target and program! LOAD-n-GO debug support covers all targets that have debug mode when used in conjunction with the C-Aware IDE Compilers. CCSLOAD FREE programmer control software supports the LOAD-n-GO and offers many new key features including; powerful command line options in Windows/Linux, extensive diagnostics, easy to use production interface, and enhanced security options. LOAD-n-GO can be paired with Tag-Connect, a cost saving production ICSP Programming cable that eliminates the need for a ICSP connector on your product. Tag Connect provides a direct pin-to-circuit connection, saving space on your PCB. The modular end works with existing ICD programmers as well as the LOAD-n-GO.